from top to bottom stack here 6-handed for the 2018 @WPT Rolling Thunder Main Event title. 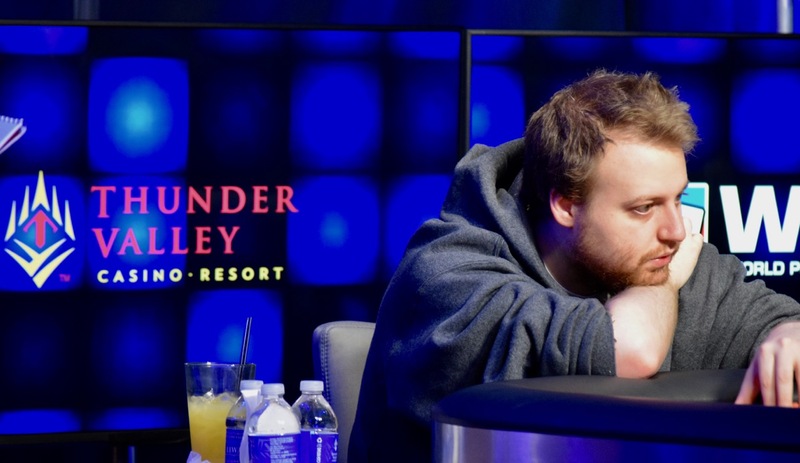 Joe McKeehen leads, with 25 percent of all the chips in play, while the short-stack, David Larson, has 11 percent. Any player doubling up through another player becomes the chipleader ... this group is tightly packed, that's why there's been little change since Larson doubled through McKeehen on the 2nd hand of play.